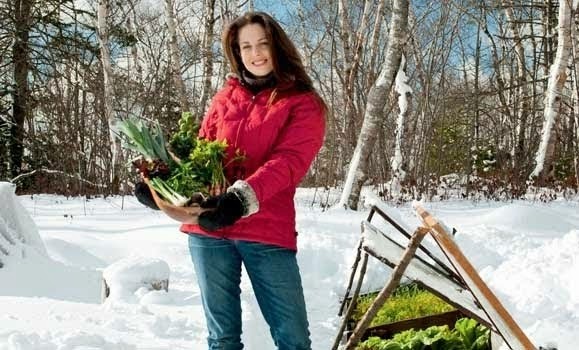 Niki Jabbour - The Year Round Veggie Gardener: Seeds vs Transplants! March is here and it will soon be time to start planting seed. Some crops can be sown directly in the garden, while others need to be started indoors to get a jumpstart on their growth. It can be a bit confusing to a novice veggie gardener, but your best sources of information are going to be a fellow gardener, a trusted garden book (see my last post on Barbara Pleasant's new book - I love love love it!) or the seed pack itself. 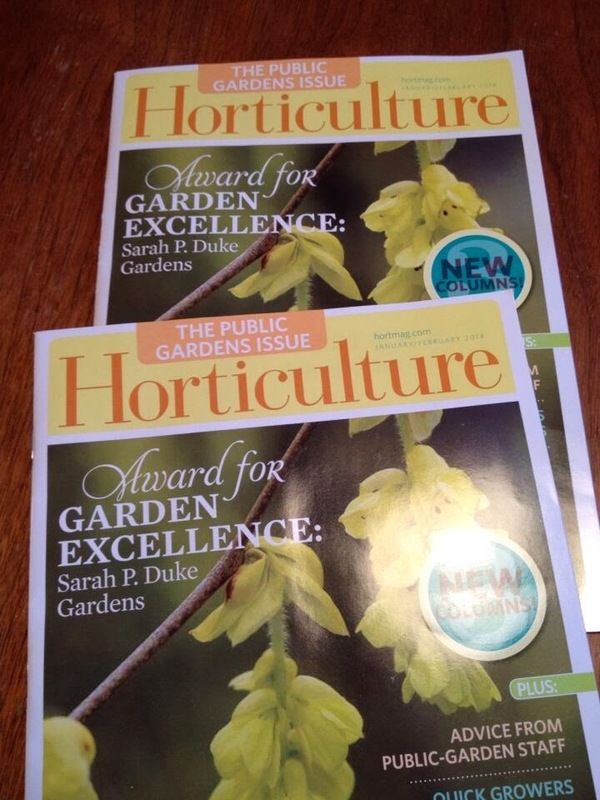 Even the seed catalogue can offer planting tips, so when you are ordering your seed, read carefully. Most heat loving crops need to be started indoors. These include tomatoes, peppers, eggplant, basil, cucumbers, squash, pumpkins and melons. Tomatoes, peppers, eggplant and basil will need 8 to 10 weeks of growth before they’re ready for the garden, while cucumbers, squash, pumpkins and melons will need only about 4 weeks. Certain cold weather crops, such as broccoli, cauliflower, Brussels sprouts, cabbage and leeks (see earlier posts on growing leeks - a low maintenance gourmet crop) can also be started indoors. If grown directly from seed in the garden, I have found that the harvest is much less than if I give them 6 to 8 weeks indoors first. Root vegetables and quick growing crops such as radishes, beets, carrots, lettuce, spinach, Swiss chard, peas, beans, corn and most salad greens can be started directly in the garden. Their planting date will depend on their cold tolerance. For example, cool season crops can be planted outdoors about 4 to 6 weeks before the last frost (here, around April 15 to May 1). These include broccoli and cabbage transplants, onion sets, spinach, arugula, peas, radishes and lettuce. 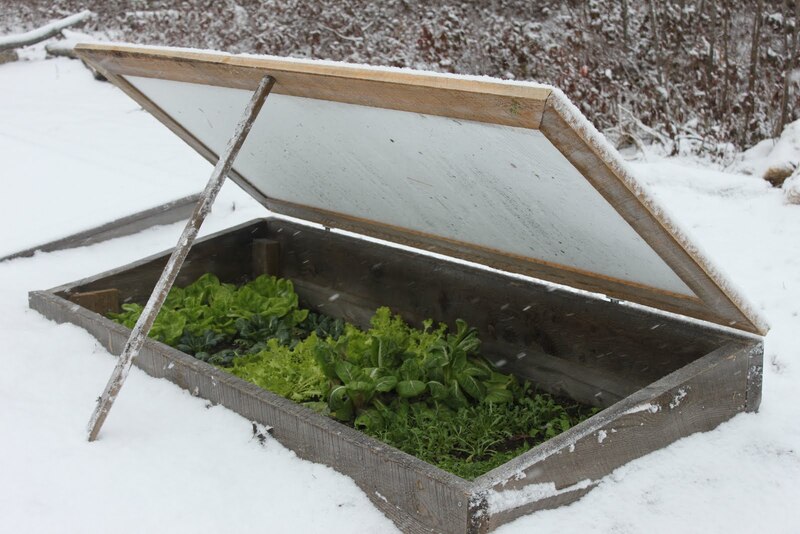 If you're worried about frost, toss a floating row cover over the newly planted seeds or seedlings. A few weeks later in mid-May, plant carrots, beets, parsnips and seed potatoes directly in the garden. The first week in June, plant beans and soybeans. Around June 10th, it should be safe to put in your tomato, pepper, eggplant, pumpkin, cucumber, melon and squash transplants. Also sow corn seed at this time. To start your seeds indoors, you’ll need a sunny window or a florescent light fixture (I use 4-foot long shop fixtures from a building supply store). 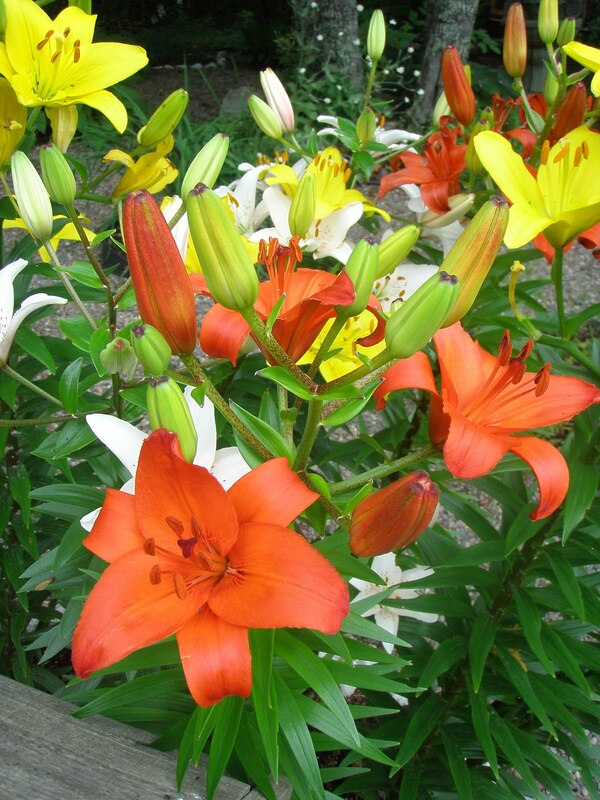 You’ll also need containers and some potting soil. For the most efficient use of space, I grow my transplants in inexpensive cell packs, which are placed in trays. I buy my potting soil in large cubes from a local store - it's much less expensive than buying it in 30 L bags. Whatever isn't used for seeds, can later be used for my window boxes and containers. Once your seeds are planted and labeled, cover the trays in plastic wrap until the seeds start to germinate. This will keep the humidity levels high. Remove the plastic wrap immediately upon germination to allow for good air circulation. I also keep an oscillating fan in the same room to keep the air flowing, which is key to preventing the dreaded 'damping off'! Just don’t aim it directly at your seedlings. Keep the lights on for about 16 hours every day and feed every two weeks with an organic liquid fertilizer. If using a florescent light fixture, keep adjusting it so that your growing seedlings are always no further than three inches from the light. A week before transplanting in the garden, begin to harden off your seedlings. Take the trays outdoors and place them in a shaded spot. Bring them inside at night and put them out again the next day. Gradually work them into the sun and start leaving the trays out if there is no risk of frost. After a week, they should be ready for the garden.